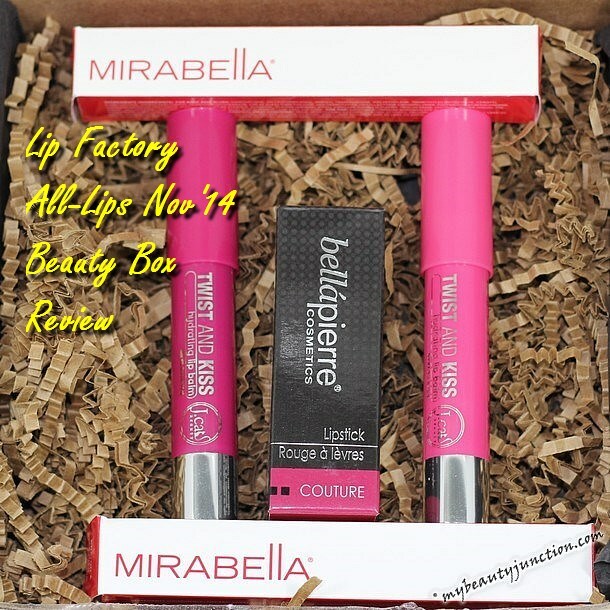 Lip Factory sent out my November and December 2014 boxes together, which is why this post is a tad late. Every four months, they do an all-lips box, containing only lip-products. 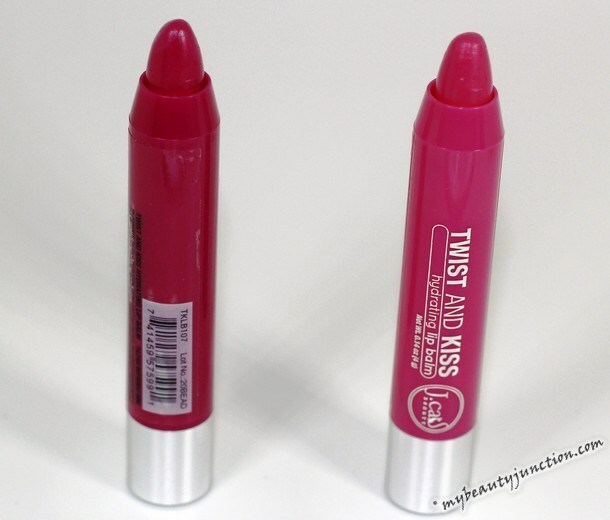 I love these; they are a great way of adding new lippies to your stash. For those who came in late, Lip Factory is a monthly makeup-only beauty box that ships worldwide. The products are all full-sized, and you can customise what you receive to some extent. It is my favourite makeup subscription and I have discovered some beautiful products, thanks to them. And, because the products are full-sized, the value is great. Here is the Lip Factory All-Lips beauty box for November 2014. Five full-sized lip treats! Here are my first impressions of each - swatches of all products are further below. Both are very pretty shades. 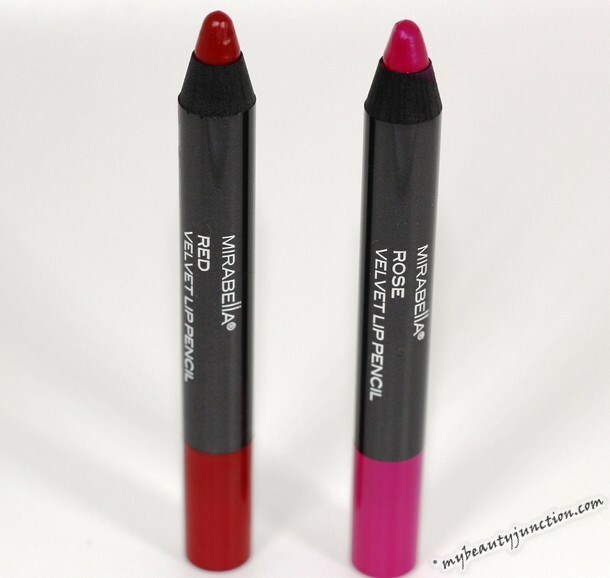 Do not be taken in by the word "balm" - these are decently pigmented, creamy lip crayons. The best part is that there is no tingling or cool feeling when you apply the product on the lips - this is something I hate about most lip crayons. Staying power is average, two or three hours without eating or drinking, as can be expected from a product like this. Love Kiss is the palest-pink end of my comfort zone, but I can just about pull it off. 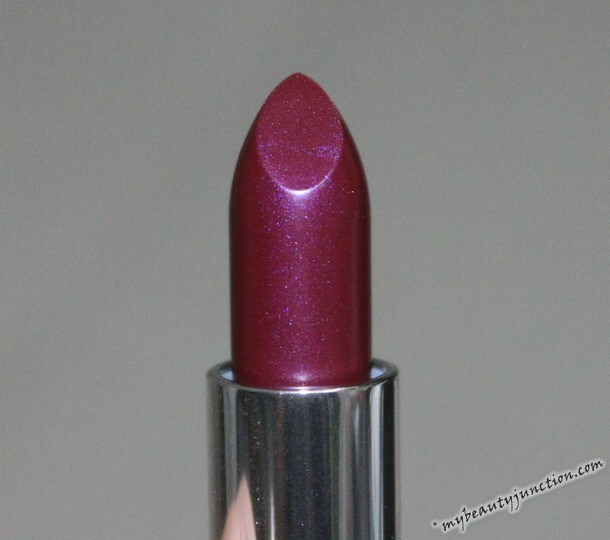 Butterfly Kiss, on the other hand, is a beautiful mauve shade. The moment she saw this fuchsia lip crayon, my Mum has been visibly in lust, and hinted - not very subtly - that fuchsias are her lip shade and I look best in dusty rose. There is no need for that, the moment I saw this, I decided that this is for her! I haven't tried it on, but have a quick swatch for you. It is a gorgeous, well-pigmented fuchsia. As for the lip crayon to the left, I'm not a fan of red lipstick, but I am a dusty rose person. However, in keeping with the spirit of the season, I will give this a whirl or two over the coming weeks. Every woman needs one red lipstick in her wardrobe and this one is my destiny. Staying power is as much as the J.Cat lip crayons. I wish I had received one Mirabella lip crayon in a dusty rose or softer shade. The packaging reminds me of the Revlon Colorburst lippies. However, I fail to understand why I was sent a very purple-plum shade when my profile says dusty rose, subtles, light to medium shades and neutrals only. 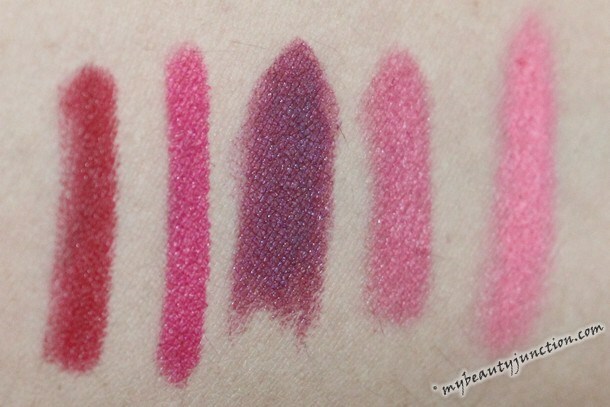 From left: Mirabella Velvet Lip Pencil Red, Mirabella Lip Pencil in Rose, Bellapierre Lipstick in Couture, J.Cat lip balm in Butterfly Kiss, J.Cat lip balm in Love Kiss. As usual, Lip Factory was kind enough to keep out lip gloss for me and send me just proper lip colours, since I have been subscribing since June 2013. Apart from the Bellapierre black-purple lipstick, I can use everything one way or the other and love the J.Cat lip crayons. All of these are Fall/Winter shades, except for Love Kiss. My favourite in the bunch is Butterfly Kiss. A great box for lip colour lovers. I did want a lip primer but you cannot have everything, and I am actually glad that there are no lip liners in here. Beautiful! Stay tuned for my unboxing of the December 2014 Lip Factory box. If you fancy checking out their subscription or even if you want THIS particular box, you can head over here. The boxes cost $22 a month within the US and $32 worldwide shipped, with discounts for longer-term subscriptions. Do quote reference number 385650 so we both get 50 points apiece and can redeem them against products or boxes.